Around two months ago, I became interested in making jewellery. It's not something I think about doing as a career but rather as a fun, and perhaps profitable, hobby. A girl can hope, right? So, I've put together a few of my own creations and opened a shop on Etsy. If you'd like to look at what I've got on offer at the moment, please check out my shop here. 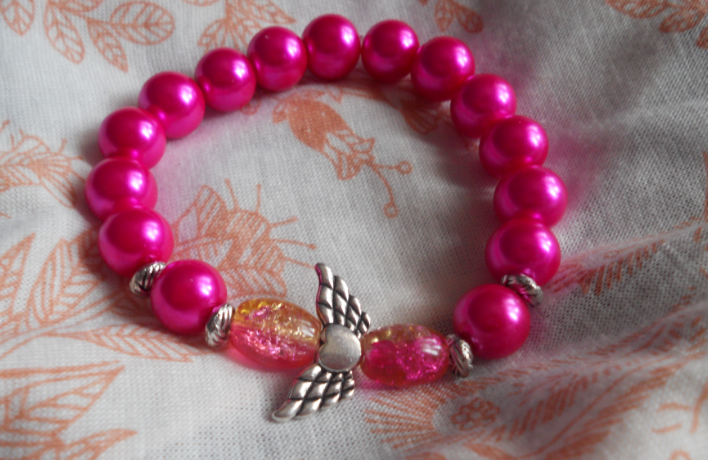 There's also a chance to win a bracelet in my big May giveaway, especially made just for you! You can enter that here. If you'd love to have something handmade and totally unique, now's definitely the time to get going! In the future, I'm hoping to start making more intricate jewellery using wire instead of elastic. We'll see how that goes. First, I need to find a local beading class... where are they hiding? For now, here are some of my current creations. Hope you like them! This one has just been sold. It's made of glass beads and Tibetan silver. If you would like to have one for yourself, I've got enough supplies left to make another exactly like this. Price was £1.80 excluding postage. 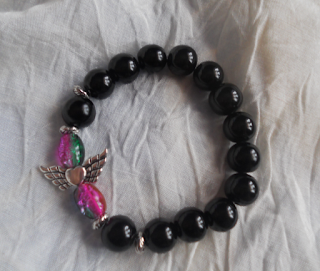 On sale now for £2.00 excluding postage. The parrot charm is Tibetan silver, and the beads are all glass. Four are imitation pearls and the rest are turquoise and yellow crackle effect beads. 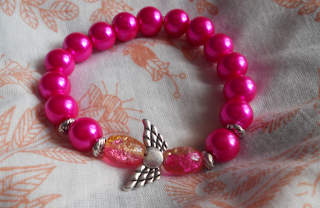 Very similar to the one above, except the glass beads are fuschia and yellow. On sale now for £2.00. 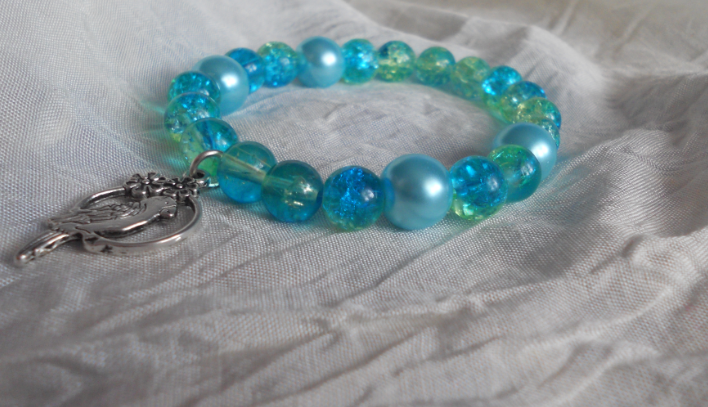 A light green bracelet, also all glass. There is one oval blue and clear crackle bead, two white hearts with flower detail, and two Tibetan silver dividers. I haven't put the bracelet on Etsy yet, but expect to see it soon.